Coolsculpting is the only FDA-cleared non-surgical fat reduction treatment. Controlled cooling is used to eliminate stubborn fat deposits that are resistant to diet and exercise. The results are proven, readily noticeable and lasting. 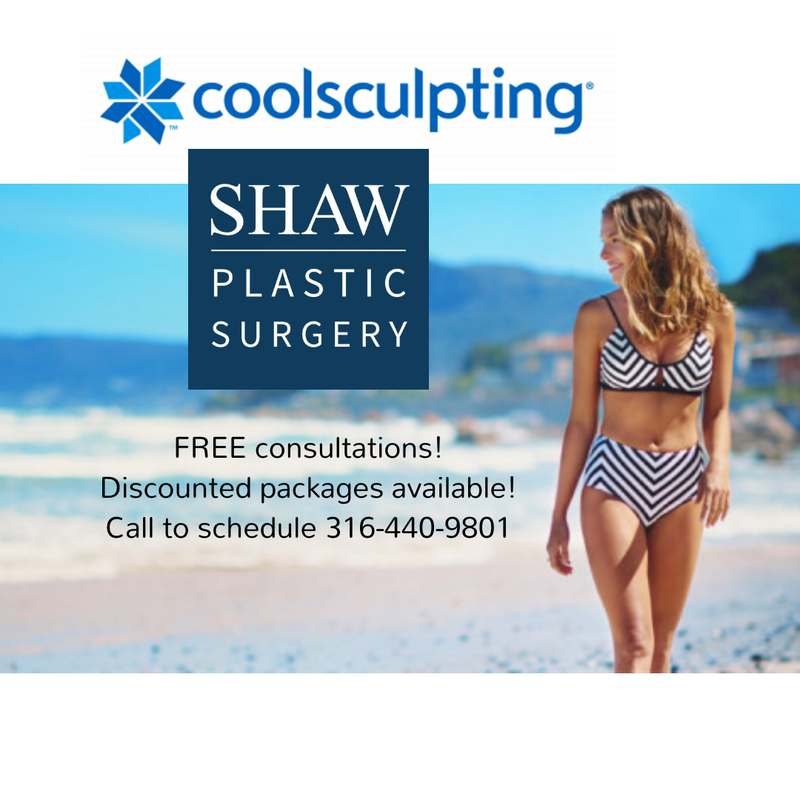 During your first visit you will have a one-on-one consultation with the Coolsculpting clinician. Your clinician will discuss a non-surgical way to approach your goals for reshaping your body. Together, you can focus on specific areas where you want to eliminate fat. Many years ago, doctors identified that when children fell asleep with popsicles in their mouths, their cheeks would get thinner on one side. They realized that the popsicles were cold enough to freeze and eliminate the fat in the cheek. However, the skin on the inside and outside of their mouths was not injured. This finding was researched and developed into the Coolsculpting procedure that we use today. The procedure safely delivers controlled cooling to target the fat cells underneath the skin. The treated fat cells are frozen and they die. Your body naturally processes and eliminates the damaged fat cells which leaves the treated area slimmer. In general, when a person is done growing, their bodies have all the fat cells that they will have for their lifetime. We tend to not generate new fat cells during our lives. With weight gain, the existing fat cells will get larger as they store more fat. With weight loss, the fat cells reduce in size. But the overall number of fat cells doesn’t change. With Coolsculpting, the fat-freezing procedure reduces the number of fat cells in the treated area by about 25%. Your body’s natural healing processes eliminate these damaged fat cells. They cannot migrate to other areas of your body. The result is that the fat cells are gone for good. The stubborn fat bulges begin to disappear, leaving a more sculpted you. After Coolsculpting, your overall weight may not be much different, but you will look slimmer and you will look better in your clothes. The Coolsculpting fat-reduction procedure is designed to target unwanted fat in specific areas. Coolsculpting is not an overall weight loss program and is not a treatment for obesity. Good candidates for Coolsculpting have noticeable bulges in certain areas that may be resistant to weight loss. Many patients want a non-surgical alternative to liposuction. The price for Coolsculpting will vary according to the particular areas of concern, the number of treatments needed and your ultimate goals. Most patients choose to treat multiple body areas. The cost typically ranges between $2000-$4000 for a treatment plan with multiple treatment zones and multiple treatment sessions. Your customized treatment plan will be tailored to your body, your goals, and your budget. Flexible payment plans are also available. The length of your individual Coolsculpting treatment plan will vary with the number of areas being treated during one visit. We have the latest technology and the treatment of one zone takes only 35 minutes. Most patients have more than one area treated during the same office visit. Additional treatments can be done on additional office visits in order to meet your goals. Most people read, check email, watch movies or even take a nap during their treatments. Coolsculpting is FDA-cleared for treatment of visible fat bulges in the submental area, thigh, abdomen, flanks, bra-line fat, back fat, and under the buttocks. Can Coolsculpting be used to create my double chin? Yes. Coolsculpting can treat visible fat bulges under the chin and contour the neck. Freezing fat from a double chin is just as simple as treating other parts of the body (abdomen, flanks, thighs). Patients typically see a marked improvement in their neck contour after just one or two visits—with no surgery and no down time. The treatment freezes the fat cells, which causes them to die. Then they are naturally processed and eliminated from the body. One treated fat cells are gone, they are gone for good. Your body does not re-generate them. During the first few minutes, you typically feel intense cold. You may feel some pulling as the initial suction is applied. The area is usually numb after about 5 minutes. Most people read, watch TV, work on their laptop or take a nap during their Coolsculpting treatment. After the treatment, you’ll feel some tingling as the area is massaged for 2 or 3 minutes. Most people return to their normal activities immediately following their appointment. Coolsculpting is FDA-cleared for treatment of visible fat bulges in the submental area, abdomen, thigh, and flank. It is the #1non-invasive fat reduction procedure and millions of people have been treated worldwide. It is proven to be both safe and effective. Who should not have Coolsculpting? You should not have Coolsculpting is you have been diagnosed with cryoglobulinemia, cold agglutinin disease, or paroxysmal cold hemoglobinuria. Coolsculpting is not a treatment for obesity. During the treatment, you may feel sensations of pulling, cold, tingling or aching. These will subside after a few minutes as the area becomes numb. After the procedure you may have temporary redness, swelling, blanching, bruising, firmness, tingling, itching or skin sensitivity. These effects are temporary and usually resolve within days. Yes, you can. Coolsculpting is completely non-surgical so most people can return to normal activities immediately. Patients often return to work after they leave the office. Your follow-up appointment will be scheduled before you leave the office. You can always return for additional treatments. Try to maintain a healthy lifestyle. Go out and enjoy your results. You may see improvements as quickly as 3 weeks after treatment, and will see the most dramatic results after 2 months. Your body will continue to improve the treated area for 4 to 6 months after treatment. No supplements are required after your Coolsculpting treatment. It is not a diet and exercise program, so you don’t need to make changes there. However, most patients do feel motivated to take care of themselves after their treatment. They like how they look and want to take better care of themselves.